Langdon Court is a beautiful English Manor wedding venue located in the South Hams Countryside in Devon. 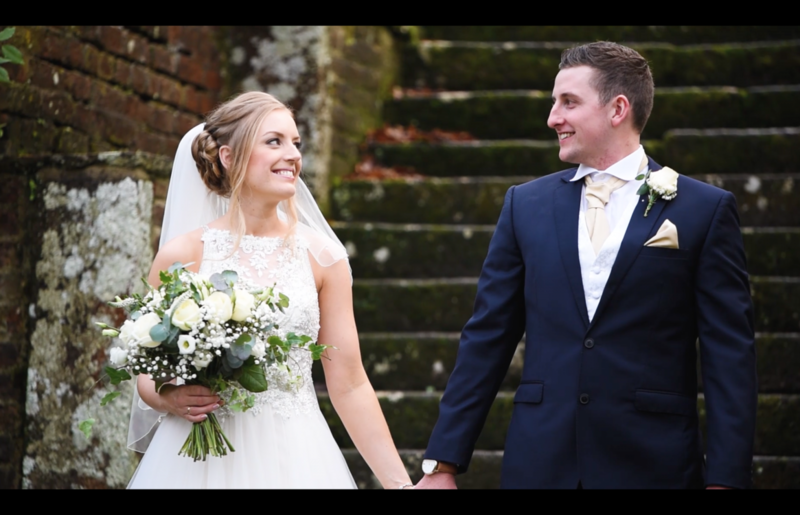 I loved creating Laura and Harry’s wedding video at Langdon Court. We enjoyed their brilliant Jacobean garden and captured amazing shots with the nearby lake. 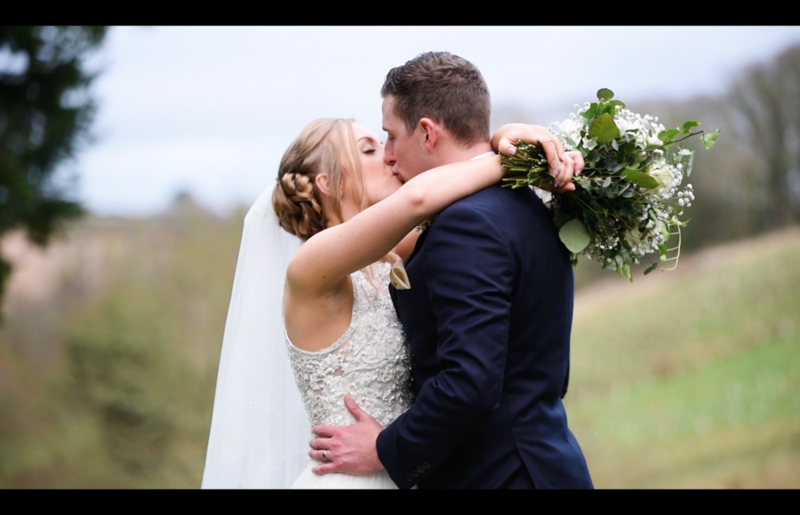 Shooting their wedding video at Langdon Court was an absolute pleasure and the staff team worked perfectly behind the scenes to keep the day running seamlessly. Laura and Harry received two wedding videos. One is a Full Feature video containing all the ceremony, speeches and first dance. 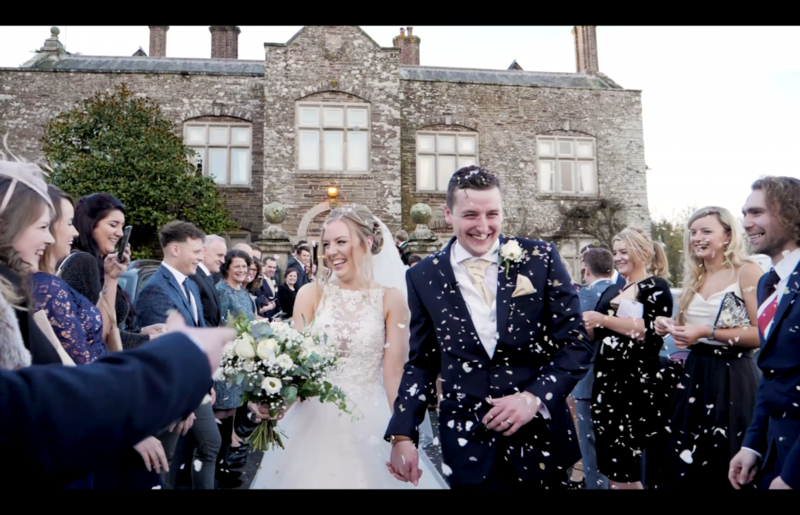 The second is a Cinematic Highlights video, showing all the best bits from their Langdon Court wedding. All my music tracks are professionally licensed and therefore the Cinematic Highlights video is perfect for sharing online to family and friends. Every wedding is unique, and so I carefully select the best music tracks that match the atmosphere and emotions captured on video from the day. An epic surprise for Laura on the day was a secret coordinated dance routine led by Harry after their first dance. Bespoke Disco played Harry’s mix track and Laura was ushered to a front row seat to watch the show! Harry had practised a solid dance routine involving his friends, family and both sets of parents! This was fantastic to watch and all recorded on video to treasure forever.